The Inaugural Auckland Women Laser Regatta is just around the corner, a few weeks away, so do make sure you all have it in your calendars. There are some great sponsors, prizes and an inaugural trophy for grabs kindly donated by Jim Quinn. All Laser women sailors. There will be 2 fleets racing: A Fleet and a B Fleet. 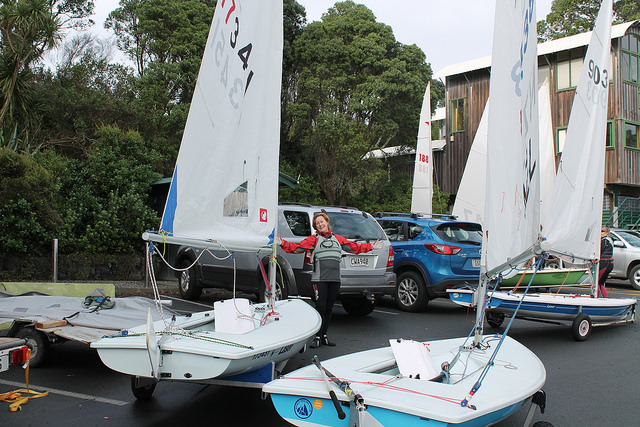 A fleet: Proficient sailors, who have participated in an open fleet Laser regatta. B Fleet: Sailors who have not sailed in an open fleet regatta. It is open to less experienced Laser Sailors. This fleet is to offer the less experienced sailors the opportunity to participate in their very first regatta. A Notice of Race and a Registration form can be access from the link below. We would appreciate if you would let us know as soon as possible if you are able to attend the regatta. For out of towners, some Club members have offered accommodation, so do let us know if you are interested.